16/38’s EPL Update: You’re Getting Sacked in the Morning! 16/38’s of the EPL season has gone by (reducible to 8/19’s for the mathematicians out there), and boy are the narratives coming in with the type of fervor that’s very English Premier League. We’ve had two managers sacked in Andres Villas Boas and Steve Clarke, two managers who if anything were sacked in part because of circumstances that were out of their controls. Whether people are attributing the circumstances involving AVB’s firing to the lack of time involving merging the talents involved in the £107 million spending spree, or how they’re a victim to the volatile nature of the reliance on SV% is up to them (we’ll talk about this in a bit more depth in a little bit). Steve Clarke’s firing is different, but at the same time not violently different. Steve Clarke did not have a £107million spending spree over the summer transfer window, hell they only spent 12.5% of what Tottenham spent on the likes of Nicolas Anelka, Sessegnon, and Victor Anichibe. By Week 11, West Brom sat at 10th place in the EPL, with a signature win at Old Trafford, where their counter attacks were as graceful and violent as the Moscow Ballet. A funny thing though was happening with that West Brom side. Despite their 10th place showing, a lot of it had to do with their SH% vs the league average at the time. West Brom had a SH% of 34.3%, the league average was 28.13%. 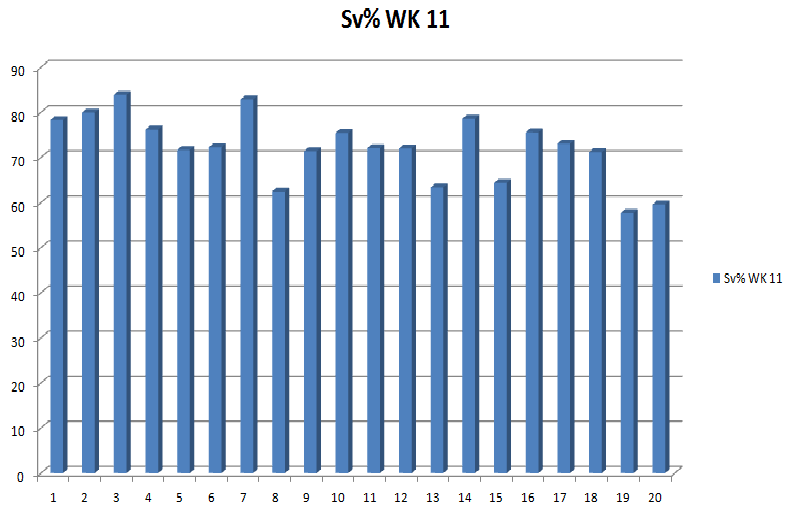 Their PDO at that point was 1098, the league Average was 1002.6. 5 weeks later and we now see the effects that PDO has. West Brom’s SH% dropped to 30.9, much closer to the League Average of 29.05%. Their PDO has now dropped to 1012, and with 4 straight losses at the helm, Steve Clarke paid the price. Ironically enough, their shot ratio metrics have risen up from 0.461 in WK 11 to 0.489 present day. Being presented with the real scenario of relegation could’ve prompted ownership to make this move, however short sighted it is. Their improvement in Shot ratio is a sign of a possible bounce back, and with their 5 next fixtures involving; Hull (Home), Spurs (Away), West Ham (away), Newcastle (Home), and Crystal Palace (Home), West Brom could easily scrap together a 2-2-1 or even a 2-3-0 record, which would give them enough breathing room from the relegation fight. Their season last yr was the best in their history, though they also were one of the beneficiaries of a significantly weaker Premier League. Anybody else find it odd that Fulham’s Final Third Touches equals to 1967, the same year that the country of Canada turned 100 years old? Or how about this; 1967 is the same year that Anna Nicole Smith, Jimmy Kimmel, and Jamie Foxx were born. Spooky stuff isn’t it? Somethings that’s interesting to note with Tottenham this yr is despite the woes that they’ve had at generating goals, what helped them stay within the sphere of the Top 4 (which to be fair, they still are ) was how much better their SV% was compared to the league average through 11 weeks. 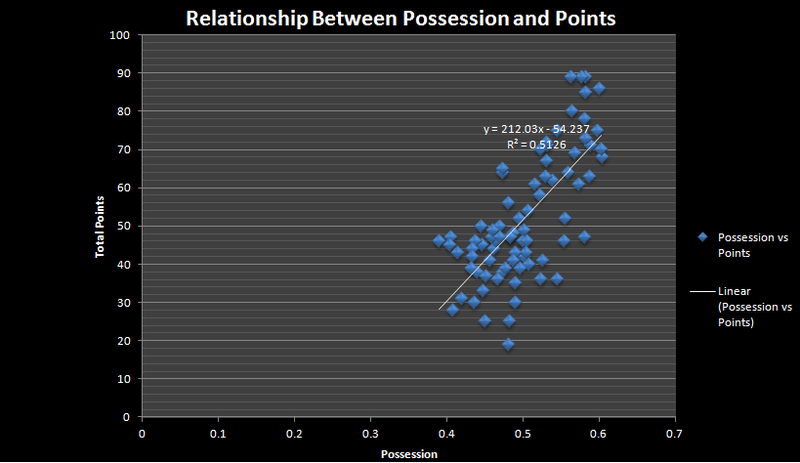 This entry was posted in Uncategorized and tagged AVB, Correlations, PDO, Steve Clarke, TSR. Bookmark the permalink.